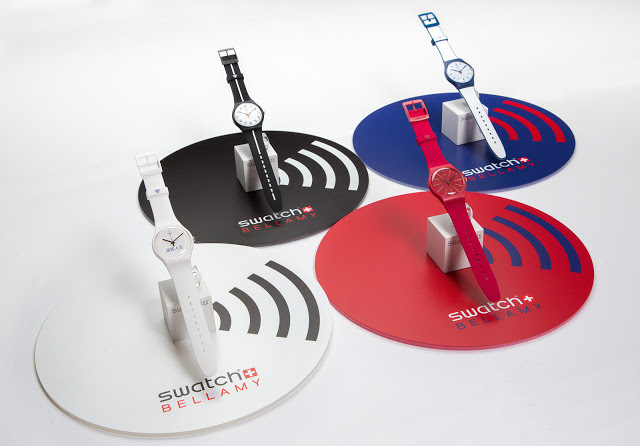 Equipped with an NFC chip for wireless payments, the Swatch Bellamy will be rolled out in early 2016 first in China, followed by Switzerland and the United States. The Swatch Bellamy is the watchmaker’s first foray into the world of smartwatches. Named after American author Edward Bellamy, whose 1888 novel Looking Backward foretells the debit card, the Bellamy wristwatch is a typical colourful Swatch, but one fitted with a near field communication (NFC) chip. The NFC chip allows the wearer to make contactless payments at merchants with the appropriate terminals, much like how some newer credit cards (like MasterCard PayPass or Visa payWave) can be waved over a reader for payment. The Bellamy will work in a similar fashion to the Apple Pay service bundled with the Apple Watch and iPhones, but its availability will be limited initially. Bellamy wireless payments will be available in China starting January 2016, with Swatch partnering with China UnionPay to roll out the service across the country. China UnionPay is the Middle Kingdom’s only bank card organisation, and one of the largest in the world, having some five billion cards issued. The watches themselves, however, will be sold by Bank of Communications, one of the largest banks in China with over 2700 branches. The Bellamy will subsequently be available in Switzerland and then the United States. 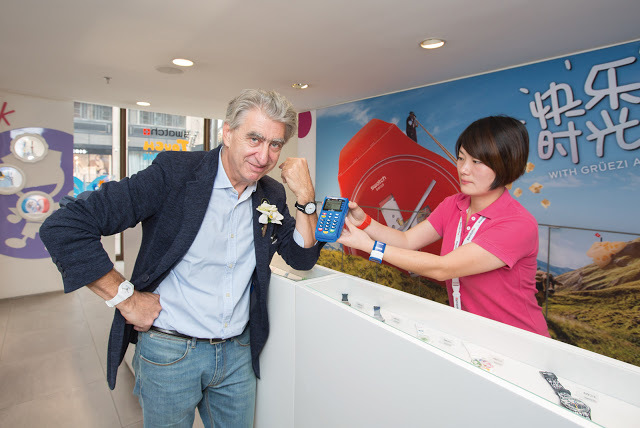 Update December 4, 2015: Swatch has recruited Visa to be its contactless payment partner, starting in early 2016 in the United States, Switzerland and Brazil.